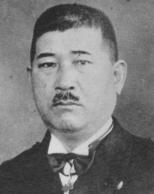 Nomoto was one of the senior admirals of the Japanese Navy when war broke out. He led an exchange mission to Germany in 1940 and did not return to Japan until 1943, aboard U-511, which the Germans gave to the Japanese. As a result of his discussions with the Germans, he became an advocate of radar, and also urged the submarine fleet to shift its emphasis to the destruction of merchant shipping. Nomura very briefly served as Navy Minister in Tojo's final Cabinet shuffle before being ousted from power.